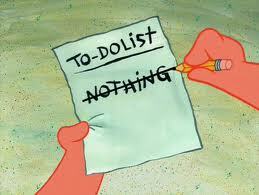 I've been doing nothing for so long, I think I can cross it off my list. So, now that the blood patch is over, and I’m feeling better….now what? I still have a long way to go before I think I’m healthy. So I think it’s time to buckle down and start paying attention to the title of this blog. Why am I having lower GI issues every day for almost 4 months? How can I start exercising with my hip problems? How can I lose some weight? I found a pool nearby that I can exercise in, I’ve added ankle weights and a flotation belt to my Christmas list to make it even easier to exercise in the water. If the people at Digestive Health can’t help me, then I’m going to make an appointment with the naturopath/dietitian that I found. (since I had to cancel the last appointment I made with her because of a vertigo attack). We also made a huge step tonight in starting to change our lives considerably. For a long time my husband and I have talked about Fostering. Unfortunately, with my health issues I was afraid I wouldn’t be able to give a needy child the attention he or she needs. Now that things look like they may be changing, and I won’t have to worry about having a vertigo attack once or twice a week, we decided to take the first step. We went to an orientation tonight to find out more about becoming foster parents. We plan to start taking the classes starting January 4th. I will take a month of classes (30 hours of training all together) before we can be considered to get a license. We also have to have a background check, be finger printed, have a physical…..there are a lot of things to do, and I’m glad. I’d hate to think they gave just anyone a license to be foster parents. I’m pretty excited about getting my life started. I hope I’m not jumping the gun, but I really think this worked. My head just feels so much different. I have a lot to do to the house to get it ready for a child. Starting with just giving it a good cleaning. I don’t know how so many people with Meniere’s can keep up a house, and a family, and some even work. Well, I guess I managed for years, but when I went bilateral, my life as it was pretty much stopped. I even started seeing a therapist to help me deal with it all. I will say one thing about therapy, it really helped my husband and I be able to talk about our feelings about my disability in a safe environment. Then we were able to talk about it all much easier when we were at home. When I felt like a burden, when I felt like he just didn’t understand. When he would feel like he really wanted to help, but just didn’t know how. I simply didn’t think anyone could love me enough to put up with as much trouble as I felt like I was causing. I felt like a prisoner in my own home. I couldn’t work, I couldn’t drive, I often couldn’t even help clean house or cook. Yes, my prison is lovely, and I have a wonderful husband who is here with me, but he’s free to leave at any time. I was completely dependent on him, and his generosity. I understand the phrase, “feeling like a bird in a gilded cage.” No matter how nice a prison is, it’s still a prison. I had to come to the understanding, that is was my disease that was keeping me a prisoner, not my husband, and I didn’t do anything to cause it. I hope all of you know, this disease is not your fault! You didn’t do anything to cause it. Let the people who love you, care for you, it’s the only way they feel they can help. My husband felt so helpless, but at least he could be here for me, and help care for me. He told me he is just so grateful that he could be here to help me through this. He will never know how grateful I am that he has been here, and continues to be there for me. I hope he never needs the same kind of attention I have for the past couple of years, but I hope he knows that if he ever does, I will be more than happy to help him. Gluten Free Frenzy is having a HUGE Giveaway! I am so happy that you are getting back to life and actually making plans! I dare not make any plans since I hate cancelling so most of the activities we do, and its not many, are fly by the seat of your pants activities. If I feel well enough on a Saturday we will call friends. The Meniett has helped alot but I still use meclizine regularly just to get through my day at work. Now this is much better than earlier in the fall and back in the summer when I couldn’t even get out of bed so I am ok with this. I do want to see a neurologist though and ask about what you had done. I had a severe neck injury about a year before the Meniere’s symptoms started so I think its worth a look anyway. The Meniett controls the symptoms but it is not a cure. I would love a cure! Thanks for the positive words of encouragment and good luck with the fostering. What a very special call that is to step in a be responsible for making a difference in a young person’s life. A very high calling indeed! I too have a severe neck injury about a year before my symptoms started. It actually jarred my whole back. They were surprised not to find any leaks in my neck area, but right between my shoulder blades they found 3, I wonder if that’s why I’ve experienced so much pain in that area over the years. They also found a few in my lower back, but only patched the one where they did all the work from. She said she didn’t want to over patch and cause my pressure to spike, since my readings were in the normal range any way. I’m really crossing my fingers I’m not jumping the gun. If my symptoms come back, I’ll be so disappointed. About fostering, We’ve never really considered having our own children, we just feel there are so many children out there that need help, we don’t need to have a biological child to have a child. There are 2 families in our small neighborhood who also have foster children, so we will have a lot of support. Love that you are feeling comfortable to start making plans again! That’s just amazing! Excited to hear about what happens with all the Fostering!